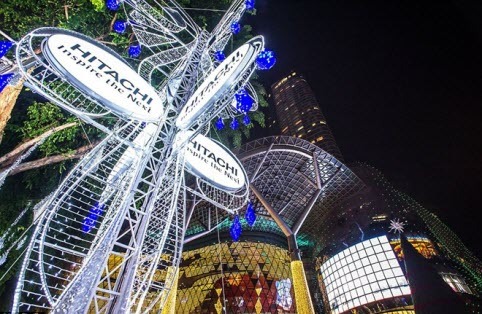 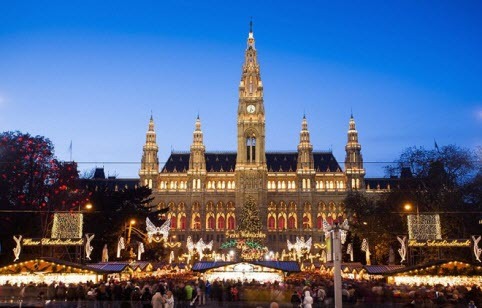 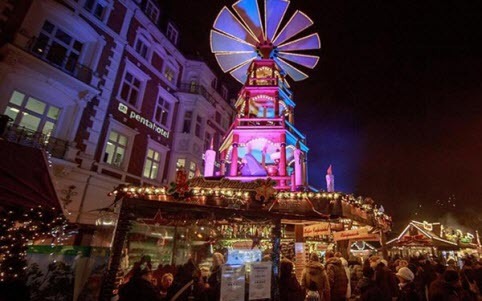 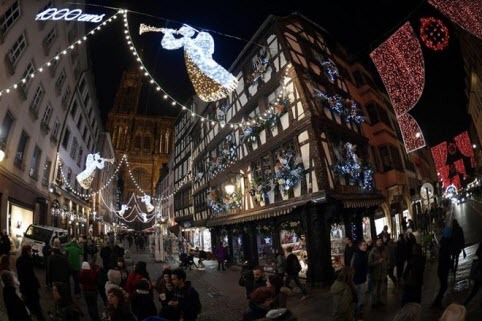 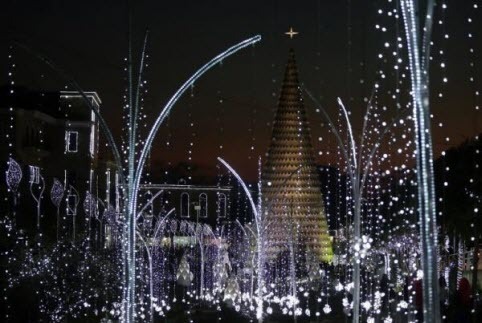 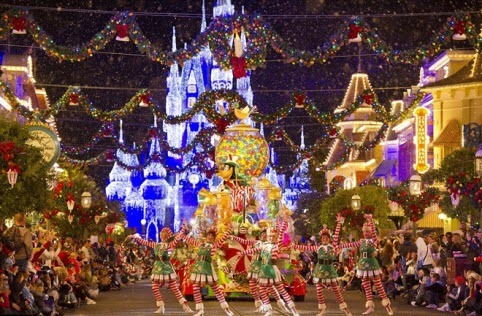 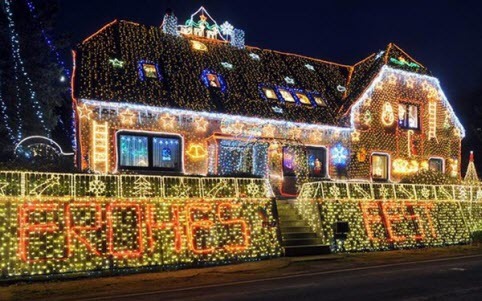 Vivid decoration and plenty of activities are being prepared in many countries around the world to celebrate Christmas 2014. 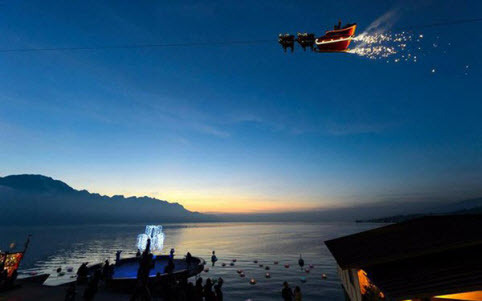 Santa Claus sitting on his reindeer on a cable is waving to visitors coming to Geneva Lake, Switzerland. 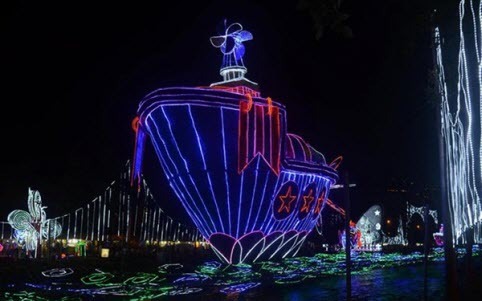 A ship decorated with light on Medellin River, Colombia.